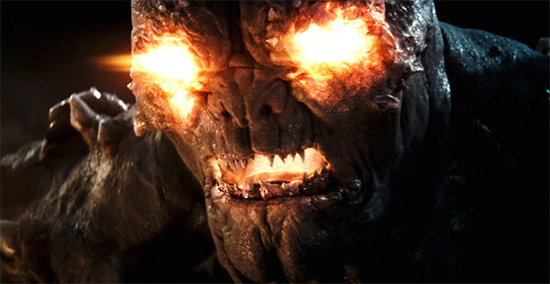 'The New 'BATMAN V SUPERMAN: DAWN OF JUSTICE' Trailer has Arrived with Doomsday! The New Batman v Superman: Dawn of Justice Trailer has arrived! Following its premiere on Jimmy Kimmel Live! Warner Bros. also revealed the movies' official synopsis: "Fearing the actions of a god-like Super Hero left unchecked, Gotham City’s own formidable, forceful vigilante takes on Metropolis’s most revered, modern-day savior, while the world wrestles with what sort of hero it really needs. And with Batman and Superman at war with one another, a new threat quickly arises, putting mankind in greater danger than it’s ever known before". Directed by Zack Snyder & written by Chris Terrio from a screenplay by David S. Goyer, Batman V Superman: Dawn of Justice stars Henry Cavill in the role of Clark Kent/Superman & Ben Affleck as Bruce Wayne/Batman. The movie also stars Gal Gadot as Diana Prince/Wonder Woman, with Amy Adams, Laurence Fishburne & Diane Lane returning from Man of Steel, joined by Jesse Eisenberg as Lex Luthor, Jeremy Irons as Alfred & Holly Hunter in a role newly created for the film. Jason Momoa will also be making an appearance as Aquaman. Batman v Superman: Dawn of Justice opens worldwide March 25th 2016. Hit the jump to check out the trailer. Synopsis: "Fearing the actions of a god-like Super Hero left unchecked, Gotham City’s own formidable, forceful vigilante takes on Metropolis’s most revered, modern-day savior, while the world wrestles with what sort of hero it really needs. And with Batman and Superman at war with one another, a new threat quickly arises, putting mankind in greater danger than it’s ever known before"
I'm reading: 'The New 'BATMAN V SUPERMAN: DAWN OF JUSTICE' Trailer has Arrived with Doomsday!Tweet this!